Political and Cultural History of Modern Spain; Nationalism; Religion and Religious Conflict in Nineteenth and Twentieth-Century Europe and Latin America; Sports and Leisure in Modern Spain; Comparative Fascism, 1914-1945; Spanish and French Republicanism; The Spanish-American War (1898). 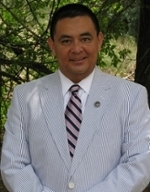 Professor Sanabria, born in Los Angeles, California to Mexican immigrant parents, is currently Associate Professor of Iberian History in the Department of History at the University of New Mexico. He earned a B.A. in both History and Spanish at Santa Clara University (1991), his M.A. in European History from the University of Wisconsin-Madison (1993), and his doctorate from the University of California, San Diego (2001). He is particularly interested in the political and cultural history of nineteenth- and twentieth-century Spain. His first monograph, Republicanism and Anticlerical Nationalism in Spain based on his UC San Diego dissertation, focused attention on the conflation of nationalism, anticlerical, and republicanism during the Spanish Restoration, 1875-1912. Though the political and cultural history of modern Spain and of modern Spanish Church-State relations continue to be of great interest for Sanabria he hopes to move onto a social history of Madrid's Manzanares River and the history of modern Sport, not only in Spain but the world beyond. An avid fan of University of Wisconsin athletics, he currently resides in Albuquerque with two cats who do not get along with each other. Republicanism and Anticlerical Nationalism in Spain (New York: Palgave Macmillan, 2009). “Nineteenth-Century Spanish Anticlericalism,” in Nation and Conflict in Modern Spain: Essays in Honor of Stanley G. Payne, ed. Sasha David Pack and Brian Bunk, 51-64 (Madison, WI: Parallel Press/University of Wisconsin Libraries, 2008). “Instability of the Republic: Was the instability and ultimate demise of the II Republic due to Spanish inexperience with representative democracy?” in History in Dispute: The Spanish Civil War, Volume 18, edited by Ken Estes and Daniel Kowalsky, 113-116 (Detroit: St. James Press, 2005). “Religion: Was the Spanish Civil War a war of religion?” in History in Dispute: The Spanish Civil War, Volume 18, edited by Ken Estes and Daniel Kowalsky, 200-202 (Detroit: St. James Press, 2005). Enrique A. Sanabria, “Iberian War: Was the Spanish Civil War of 1936-1939 essentially an Iberian conflict, with its roots in the Spanish civil wars of the nineteenth century?” in History in Dispute: The Spanish Civil War, Volume 18, edited by Ken Estes and Daniel Kowalsky, 90-92 (Detroit: St. James Press, 2005).